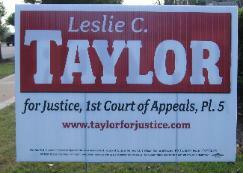 election later that year, and was sworn in on Jan. 1, 2003. 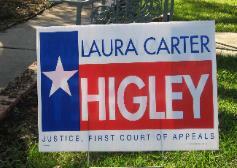 Attorney Laura C. Higley worked at Baker Botts LLC. In Fiscal Year 2006 the Justice Higley wrote 70 opinions. Justice Higley issued no dissenting or concurring opinions. credit and no published disagreements with her colleagues. Texas Whistleblower Act (1) ("the whistleblower act") by retaliating against Stephen Barth, a tenured professor at the University's Conrad N.
actual damages and attorney's fees against the University based on its violation of the whistleblower act. of a violation of the law caused the University to take an adverse employment action against him. Siegmyer & Oshman, P.C., Gerald Siegmyer, Ron Bearden, and R. F. Bearden Associates, Inc. Chemicals, Inc. v. Sandstone Products, Inc. 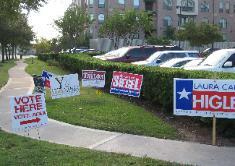 Parking Corporation, and Allright Parking System, Inc. a/k/a Central Parking System of Texas, Inc.
01-07-00398-CV Mary C. Acosta v. Hemlata Chheda, D.D.S. with respect to Allco's breach of contract claim. 01-06-00762-CV Jesus Ibarra v. Peggy Nicholes, Lesa Nicholes and Salon N.V. And Day Spa, Inc.
01-07-00094-CV In re Louis Charles Munks, Jr.
01-06-00366-CV Frank's International, Inc. v. Smith International, Inc.
trial court's judgment and (2) contend that the trial court applied an incorrect standard of proof. burden to show that an exclusion to coverage applied in this case. See Murphy, 996 S.W.2d at 879.